If you need a taxi to bring you to Wadi Rum please let us know. We know several taxi drivers with respectful service and fair prices and they will bring you to our home. A daily early morning bus leaves Petra at 6h30 am, arriving around 8am at the Visitor Center, where we will come to meet you. The price for this bus is 7JD. 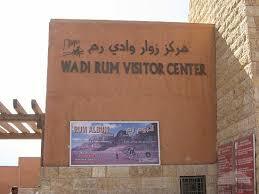 There is also a bus coming from Aqaba to Wadi Rum. It leaves at 1pm and the price is 3JD. No deposit is needed when booking and there is no charge for cancellations. We are trying out an online security deposit payment via the booking form. This is a voluntary deposit, and is for people who would like to pay a deposit to book. We can only accept cash payment in JD (Jordanian Dinar) before you leave at the end of your tour. But with prior agreement we can sometimes accept other currencies (EUROS or US Dollars). Please be SURE there are no ATM’s in Rum village and no facility to take credit card or visa payments so you must bring cash JD with you. Buy your ticket for 5JD from the Wadi Rum Visitor Center and afterwards drive 6km to Wadi Rum village and we will meet you at the guest house in Rum village. If you do not have a car or you come by bus or taxi, let us know and we will pick up you in our car from the Visitor Center.